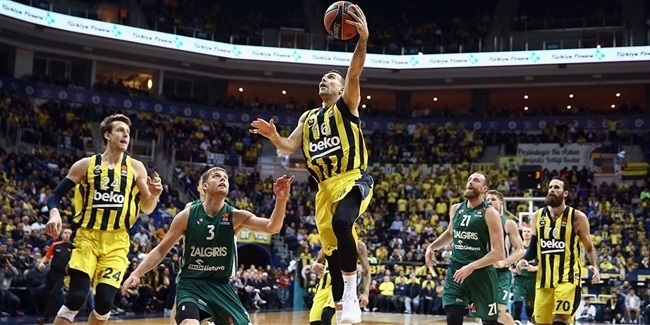 Many of the players in the Turkish Airlines EuroLeague have had a basketball journey where they had to weave over, under, in between and sometimes go right through obstacles to get where they are today, playing and competing for the biggest basketball prize on the European continent. Zalgiris Kaunas's 26-year old guard Thomas Walkup is one of those guys who, if not for his perseverance and determination, could have given up on the sport because of terrible injuries he not once, not twice, but three times suffered before his professional career even started. A talented basketball player growing up in Pasadena, Texas, a city in the Houston metropolitan arena, Walkup tore his ACL for the first time during his freshmen year in high school. After going through all the rehab, he was allowed to play again only to tear the same knee ligaments again six months after the first injury. "It was a hard time, hard time for sure," Walkup said of those days as a 15-year old with a bright basketball future who was spending days in rehab instead on the basketball court. "After the first one, I felt good about being back. I worked hard to rehab and make sure I was back to 100 percent. And that second ACL tear was a big blow. I didn't know if I was going to be dealing with that for the rest of my basketball career. It was a scary thought." "I didn't know if I was going to be dealing with [knee problems] for the rest of my basketball career. It was a scary thought." One has to wonder, how does a teenager even manage to deal with such devastating injuries twice and where did he find the inner strength and motivation to go through the rigorous recovery process just to be able to play sports again? "I was really lucky. My older brother played college basketball and I wanted to be just like him, I wanted to be following in his footsteps," Walkup explained. "I saw that and I was able to stay easily motivated. It took a lot of mental strength to go through that rehab process. The first one was a little bit easier, but the second one, I thought 'man, I just did this, I want to be on a court'. "And that rehab process is an everyday thing. It is not just a couple of times a week. It is every day. So it does wear on you mentally. But seeing my brother play, I think it really kept my eyes on the prize and knew I wanted to play college basketball no matter what." Walkup to this day thanks his friends, but is especially appreciative to his family for what he called their unbelievable support. 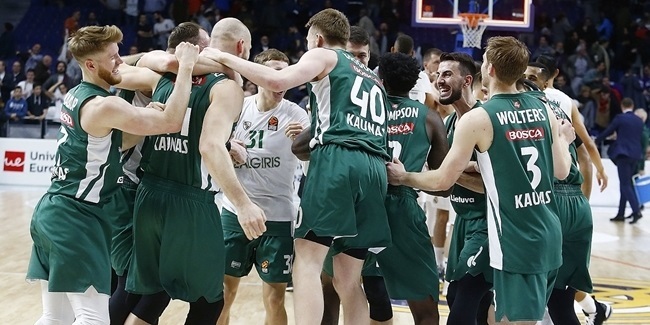 "I kept my faith strong during that time, which is not easy when you are feeling kind of down in the dumps and sorry for yourself," the Zalgiris guard recalled. "But my family was just unbelievable during that time, provided endless encouragement to me and it was an everyday thing." Walkup returned to the court his sophomore year in high school and got back to the level where he attracted several scholarship offers. He accepted one from Stephen F. Austin State University in his home state of Texas and was playing really well, but a couple months into his final year in high school, another injury hit. Walkup suffered a Jones fracture, a foot injury. He first avoided surgery, but then re-broke it and that's when even bigger problems emerged. Surgery was needed, but it did not go without complications. The bone did not heal and an infection formed. When all was said and done, it was a year and a half before Thomas was allowed to play basketball again. "My freshmen year of college, it would have been very difficult to me to envision myself in this position now." "It was just a long time," Walkup said. "I am sitting there in my prime and I am trying to get my college career started and this is lingering on. That was an even bigger blow to me than the ACL was. I wanted to get going." Walkup missed what would be his first year in college and when he returned, he was not nearly where he wanted to be. "It absolutely caused my college career to start slower. I felt a lot slower. After being out a year and a half and not being able to do any leg work out or anything, you are moving slow. It did take me some time to get that back and I didn't really feel like myself until my sophomore season." 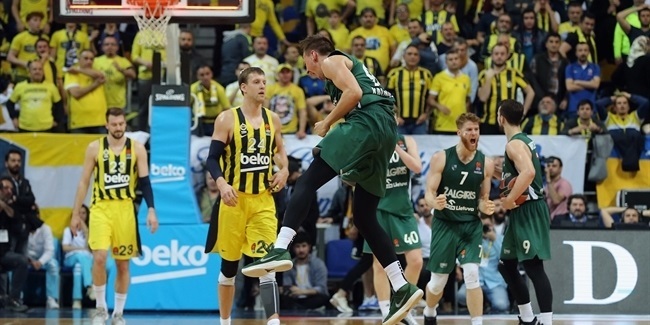 Today, Walkup is playing in the EuroLeague, which reveals that this story has a happy end. After the injury, he improved, got back to his old self as the seasons went along. He became an honorable mention All-American in 2015 and 2016, the Southland Conference Player of the Year in 2015 and led his college team to a memorable 2016 NCAA Tournament win that brought him big national attention, too. He started his professional career in the NBA Development League before coming over to Europe in the summer of 2017. After a season with Ludwigsburg in the German League, Walkup joined Zalgiris and made his EuroLeague debut. Looking back, he realizes that wasn't always realistic even though he always knew he wanted to play professional basketball. "My freshmen year of college, it would have been very difficult to me to envision myself in this position now," Walkup said "Yeah, I have big dreams, but I am also realistic. At that point, I was not a player that could put myself in this position. Through hard work, through staying in the gym it became a reality. As I was putting in more work, my dreams got bigger and bigger. It was a really good feeling that my game was growing as my dreams were." Even more than recovering physically, Walkup said that the mental process was an even harder part of going through it all. "The game is meant to be fun and you can't have fun being out there fearful." "Mentally, it takes time. It is not easy at all. Especially coming back from a knee [surgery] in high school. It took about a year for me to feel I was actually back to myself, actually could do the explosive moves I wanted to do," he said. "It did take time and takes a certain amount of fearlessness to go out there and say whatever happens, happens, I am gonna go out there, I am gonna have fun playing the game. You can't go out there and tip-toe around worrying about if I am going to get hurt or if I am gonna be alright. The game is meant to be fun and you can't have fun being out there fearful." In spite of the injuries that threatened his career before it even took off, Walkup is where he is today because of his fighting approach. It is something he thinks he got while growing up alongside his brothers. "I have three brothers and it is very competitive around the house," Walkup explained. "And it is also my personality to be a fighter, to be competitive. And then this just added on to it, the adversity just made me a strong person, made me more of a fighter, gave me an ability to persevere. I am really happy that what I've gone through has led me to where I am."